Choose a stranger from the crowd, and stare at the back of his head. Focus your attention, and in your mind ask that person to turn around and look at you. If he does — and this almost always works — then somehow you’ve made contact with that person using only the power of your mind. Dr. Deepak Chopra believes that intention is a force of nature even stronger than gravity, a force that drives destiny. As one of the world’s leading authorities on the mind/body connection, Dr. Chopra has spent much of his life researching the amazing power of intention, and the different ways you can learn to use it and benefit from it in your daily life. In this remarkable audio program, SynchroDestiny — some of his most important work to date — he reveals the secrets to harnessing this power, and using it to create exactly the future you desire. Merge meaningful coincidence with conscious intention to shape your own destiny! The title SynchroDestiny is a combination of two words we hear frequently: synchronicity and destiny. We’ve all experienced synchronicity before. You think about someone you haven’t spoken to in a while, and that night there’s a message from them on your answering machine; an old song rings through your head, and when you turn on the radio, that very song is playing. Dr. Chopra believes that events like these occur because the people involved unconsciously intend them to. As powerful an effect as unconscious intention has, when you take conscious control of your intention, the results are absolutely astonishing. You are able to manifest synchronicities, and bring about the circumstances, situations, and outcomes you want in every area of your life. In other words, you determine your own destiny. As a proponent of the power of intention, Dr. Chopra is not alone in the scientific community. Recent discoveries in genetic biology point to intent, rather than random selection, as the driving force in evolution. Doctors have long been aware of the power of intent for healing (consider the amazing clinical results of the “placebo effect”.) Physicists have even documented cases in which the results of experiments at the subatomic or “quantum” level have been controlled by the observers intent. SynchroDestiny is the doorway to the most exciting and profound adventure of your life. And now, I’d like to make it as easy as possible for you to step over the threshold, by offering you an opportunity to listen to this magical program. Discover the power of meaningful coincidence for yourself. Order today! Yes, I want to use the Power of the Universe to guide my Destiny! 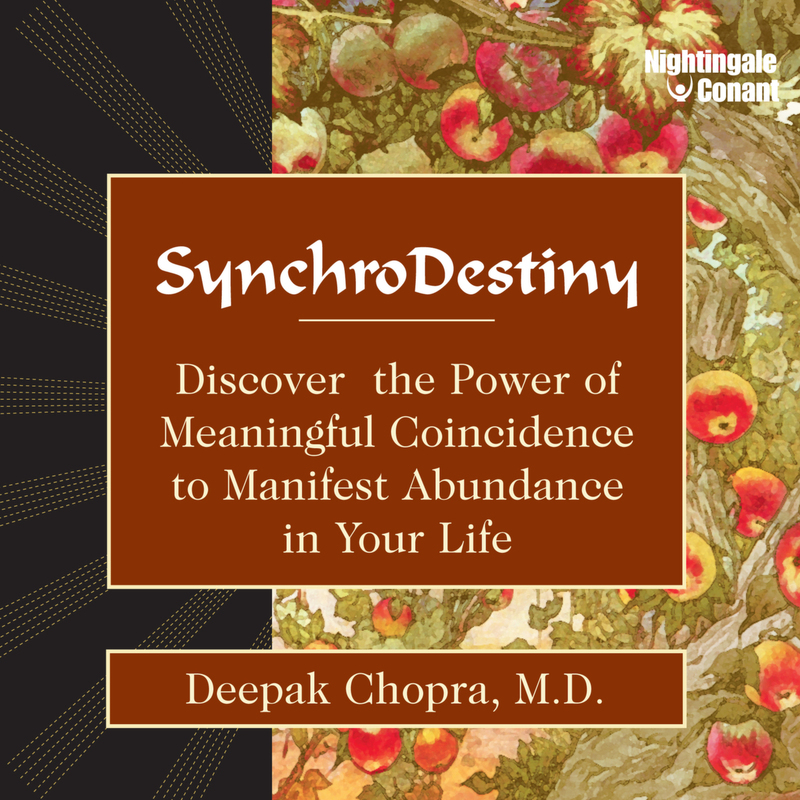 Please send me Dr. Deepak Chopra's life-changing program SynchroDestiny, at the special price below. - I can select one of two ways of ordering.